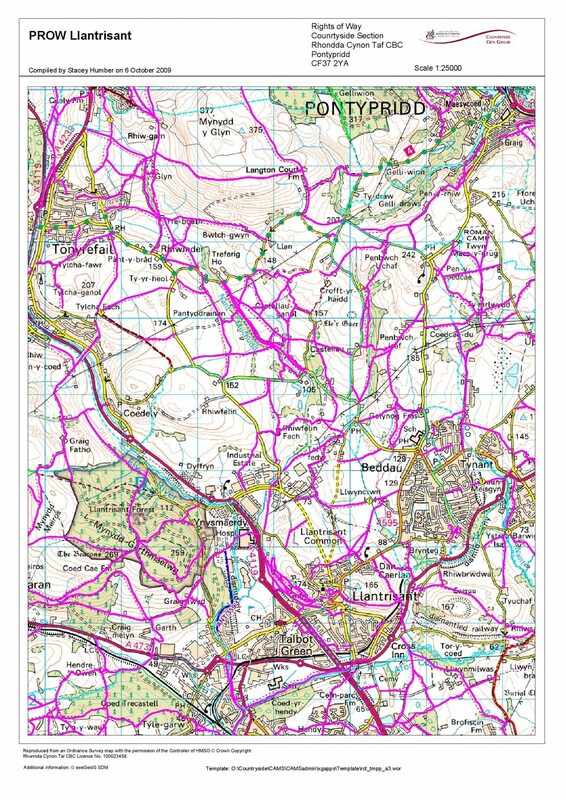 Llantrisant Community Council has a footpath agency agreement with Rhondda Cynon Taff County Borough Council to maintain the 27 miles of public rights of way within the wards. The paths cover a wide variety of landscapes from riverside rambles to fields and commons. Native woodland to cobbled streets. Operatives regularly cut grass paths in the summer months, keep brambles and small trees trimmed back to ensure the path remains wide enough and maintain wayside seats. Larger projects such as drainage and new bridges/steps are looked at in partnership with the Borough Council. If whilst out walking you notice any problems on the paths, please do report them to the Parish Office. Llantrisant Community Council, in partnership with Taff Ely Ramblers, has produced a series of 6 Bunny Walk Leaflets throughout the area (which are due to be updated shortly). Click "view document" below to access pdf copy of your chosen leaflet. The Ridgeway walk also passes through the wards. RCT have designed a series of heritage trails one of which covers Llantrisant Town.